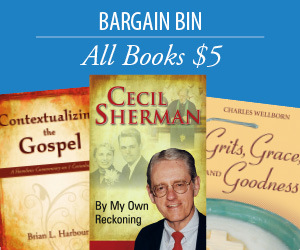 Ronald D. Vaughan is pastor of St. Andrews Baptist Church, Columbia, South Carolina. A native of Greenville, South Carolina, he is a graduate of Furman University (BA) and Southeastern Baptist Theological Seminary (MDiv, DMin). Dee has also served as a hospital chaplain, a fire department chaplain, and a college and graduate school teacher. He and his wife, Linda, have three children and three grandchildren. What were you hoping to accomplish with your new book, Seeing in the Dark? I wrote Seeing the Dark to settle a dare and answer a prayer. In the darkest days of my depression, my talks with God—more, at times, like jeers at God—were very caustic and sarcastic. In one of those crying out moments, when I felt no hope for myself, my ministry, or my future, I said to God, “If all things really can work together for my good, prove it. Bring something good out of this hell. I dare you.” I later realized that my dare was, in fact, a prayer. I was drowning in depression and needed to believe God was still with me and working in some redemptive way I couldn’t yet see. As I began to see specks of light in my darkness and began making some progress in the journey toward healing, God gave me many opportunities to share what I was discovering with other depressed people. I soon realized that some of my most significant ministry would be with people stumbling in depression’s darkness, longing to discover enough light to guide them in finding their way. The growth and gratitude I saw in my fellow pilgrims settled the dare I’d made and answered the prayer within it. 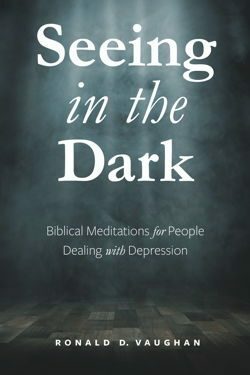 Seeing the Dark is my testimony that God can redeem even something as dark and difficult as depression by giving those who make it through the valley the gifts of experience and insight, which they can share with others to help them see light in their emotional and spiritual darkness.